We have received information that the Department of Homeland Security’s Immigration and Customs Enforcement (ICE) agency recently initiated a new round of I-9 audits. Although ICE has not yet issued a public announcement about a new wave of audits, there have been multiple reports of businesses receiving Notices of Inspection beginning last Wednesday, November 2, 2011. Our July 1, 2011 Modern Workplace blog post provides information regarding the I-9 audit process and tips for how to respond to a Notice of Inspection. 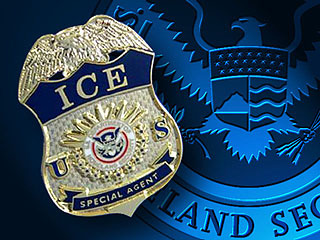 In light of ICE’s continued focus on I-9 audits, it is now more important than ever for businesses to make sure that they have an effective immigration compliance plan, which includes, at a minimum, a written I-9 policy, an audit response plan, and procedures for responding to information that may constitute “constructive knowledge” that a worker lacks proper work authorization. In addition, employers should be proactive in mitigating the risk of potential fines and sanctions in the event of an audit by ensuring that their I-9 records are properly completed and maintained. Gray Plant Mooty can assist you with your I-9 compliance obligations. Please visit our I-9 Compliance Audit Program web page for more information about how we can help.